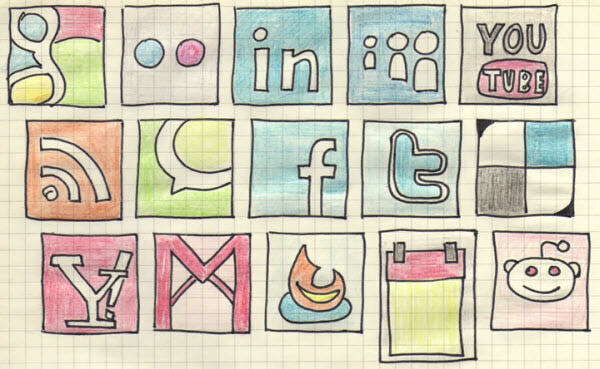 “This icon set has the ability to grow into the complete social bookmarking set, but only with your help.” Originated by Nouveller. 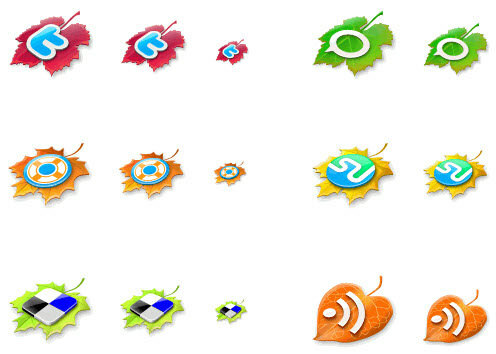 The zip file includes 3 sizes for 27 icons: 128×128, 64×64 and 32×32. 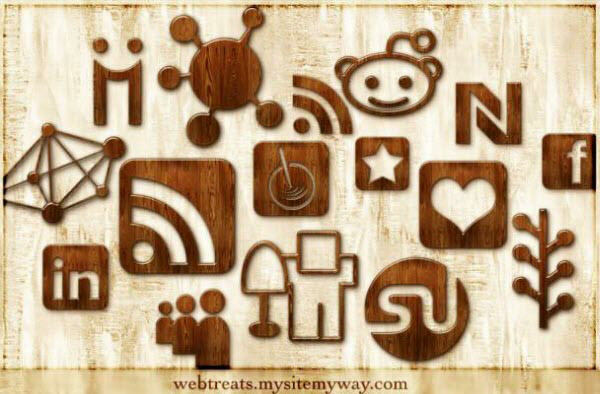 There is an icon for the following: Blogger, Delicious, DesignFloat, Digg, Facebook, Flickr, Google, a heart icon that will work for anything (such as bookmark), MySpace, Reddit, an RSS icon, StumbleUpon, Technorati, Twitter, WordPress, Yahoo!, YouTube, AIM, Bebo, eBay, Hi5, Last.fm, LinkedIn, Windows Live, Ning, Orkut and Yahoo Messenger. 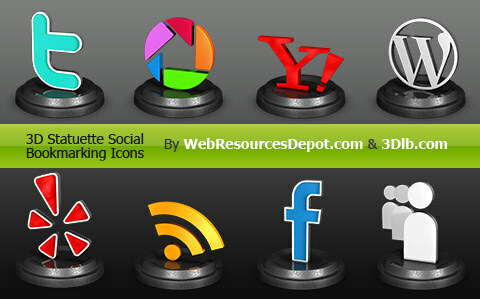 “This is a set of 3D social bookmarking icons that are placed over a platform like statuettes. 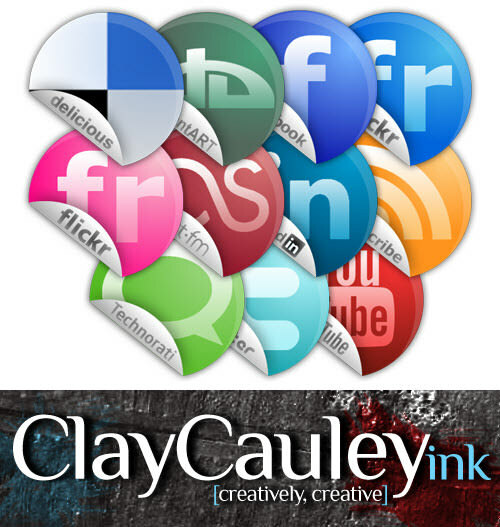 They come in a pretty big size (435*424px) which can be scaled to a preferred custom size and the format is transparent PNG.” Released on Web Resources Depot. 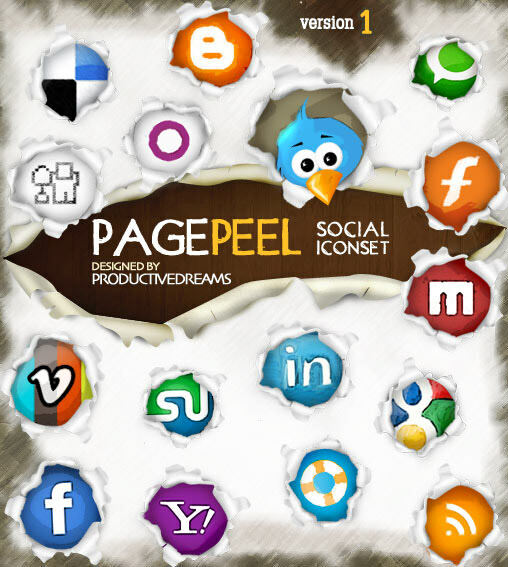 “The set includes 16 32px x 32px PNG files. They are monochromatic and can work with many other colors, which is perfect if you are looking for icons that are subtle and muted so that they do not dominate your design.” Designed by Daniele Selvitella for release on Six Revisions. 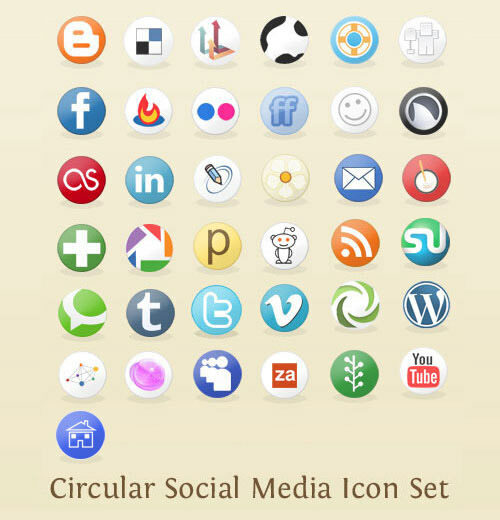 “The set includes 10 icons featuring the logos of popular social bookmarking sites. 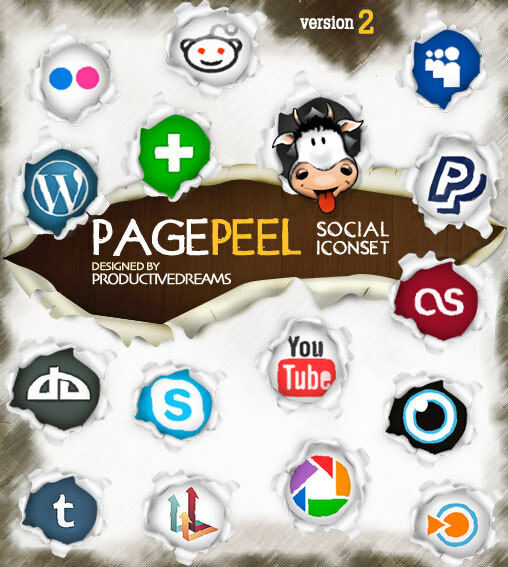 Bevel Dark includes 512×512, 256×256, 128×128, and 64×64 icons in .png format.” Published by Tutorial9. 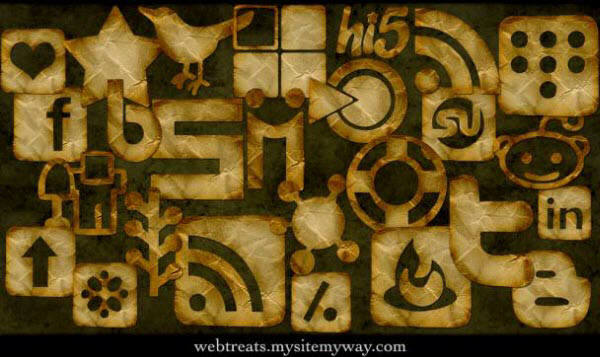 “Each icon has dimensions of 48×48px and is in PNG format. 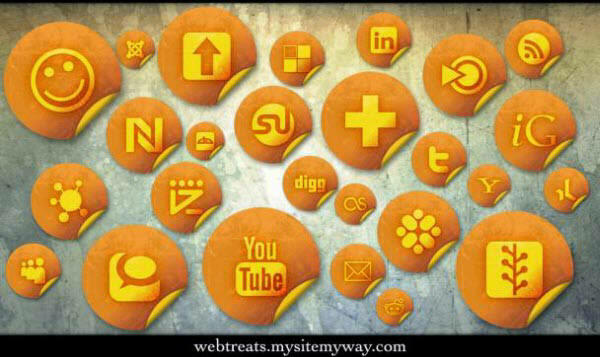 It’s perfect for blogs and content-centric websites.” Authored by Supratim Nayak for Design Instruct. 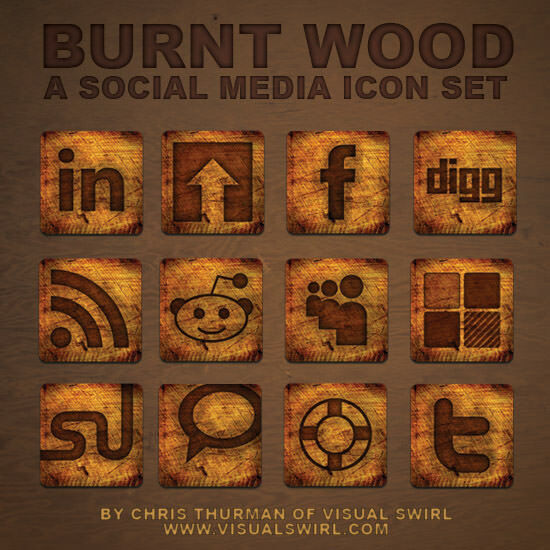 “Each icon is a 420×420px PNG file that can be scaled down to any size needed.” Burnt by Chris Thurman of Visual Swirl for Six Revisions. “Downloading this package you get PNGs + AI file with fully editable source for all characters.” Released on Bevel and Emboss. 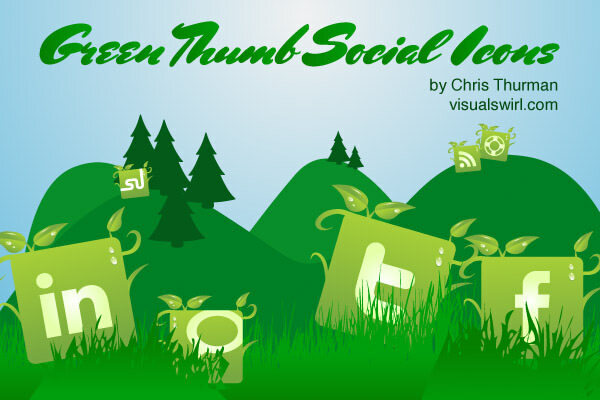 Designed by Helen Gkizi from Webtoolkit4.me for Smashing Magazine. 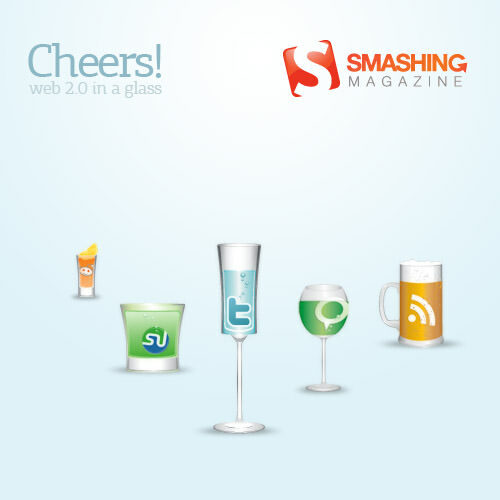 “The download includes .png files in grunge & clean versions and three sizes (128×128, 64×64 & 32×32).” Presented by Arbenting. 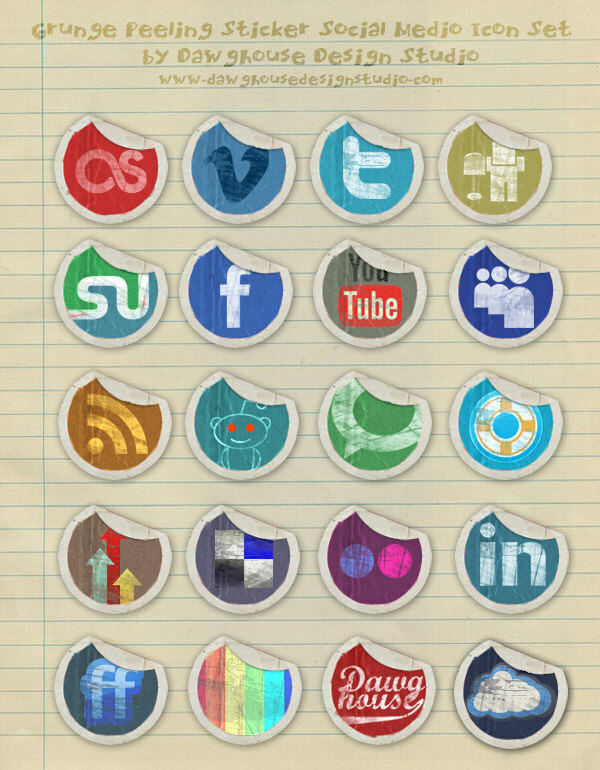 “A set with 8 tasty and appealing social icons in the format .png.” Baked by Dellustrations for Smashing Magazine. 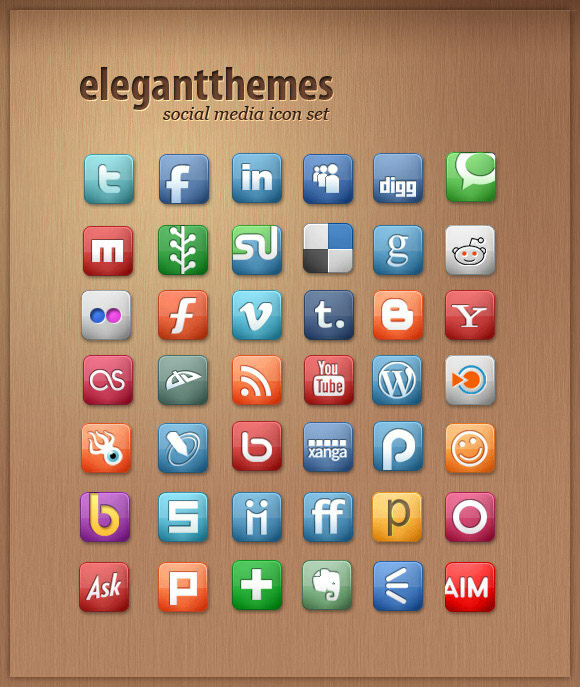 “The package includes 42 64×64 icons in both PNG and PSD form.” Created by Elegant Themes. 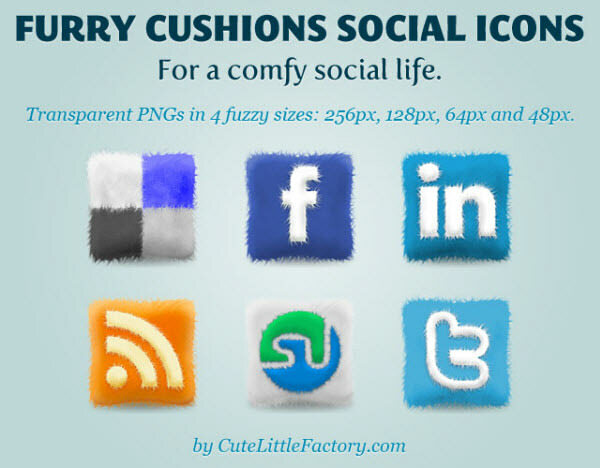 “A set with 6 transparent furry social icons in .png.” Designed by Andrea Austoni especially for Noupe. 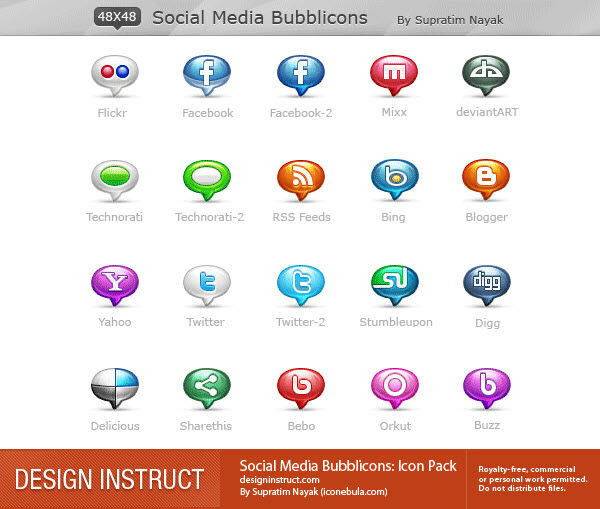 “The icons are packaged with 3 different sizes to suit your needs: 256px, 128px and 64px.” Texturized by Richie Thimmaiah from RichWorks for Speckyboy Design Magazine. 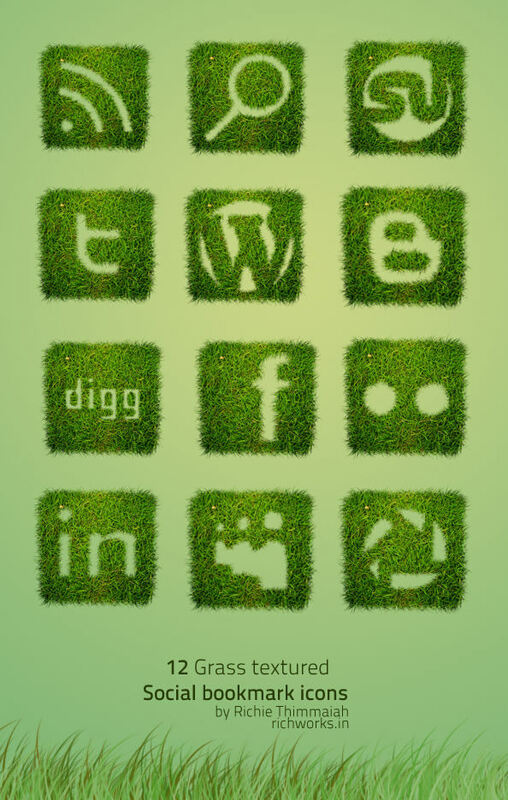 “All icons are available in four sizes: 256×256, 128×128, 64×64 and 32×32 pixels.” Planted and released by Visual Swirl. 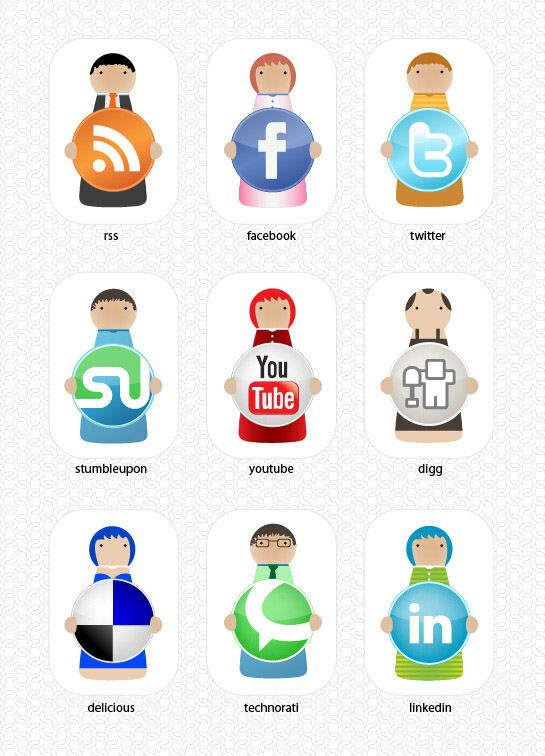 “Each icon is in .png format sized at 128x128px with transparent backgrounds. 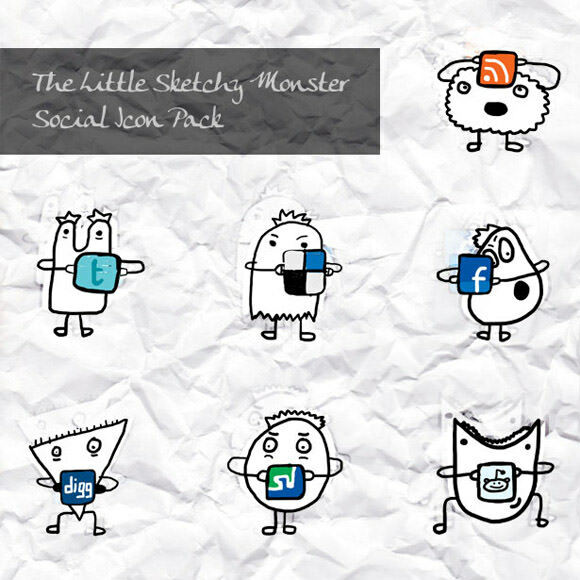 The pack comes with a .PSD source file so that you can customize your own icons.” Created for Tutorial9 by Dawghouse Design Studio. 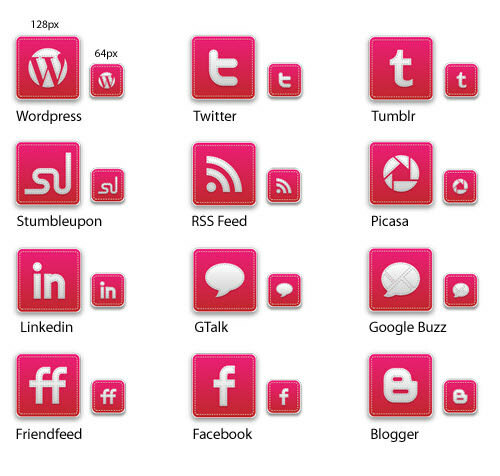 “A set of 22 social icons in .png and in resolutions 16×16, 32×32, 64×64.” Designed by Aravind Ajith from The Design Superhero for Smashing Magazine. 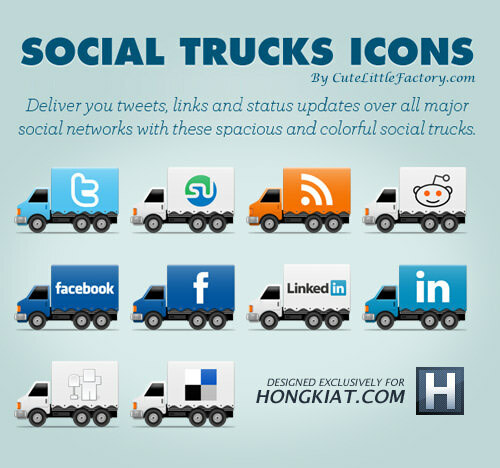 “A huge free set of 1,540 social networking icons, our standard 154 icons in 10 colors. 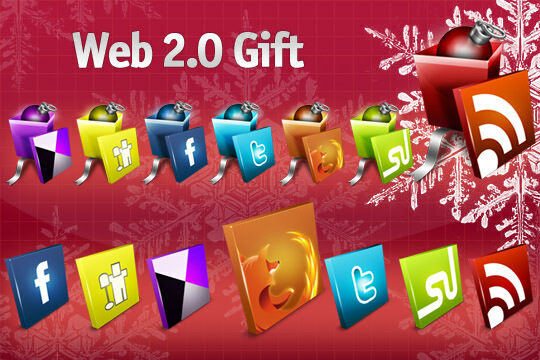 We’ve included layered PSDs of their implementation as well as a matching About the Author Box.” Created by WebTreats ETC. 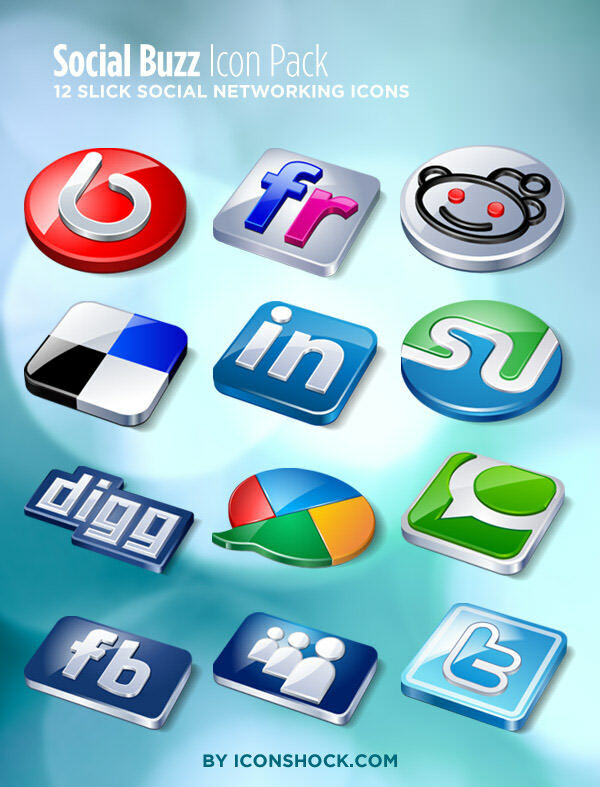 “Each icon is in .png format on transparent background.” Released by Kadom. 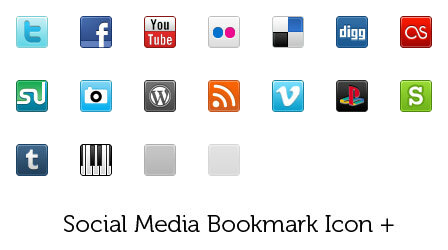 “Icons are 16 by 16 pixels and in transparent PNG format. 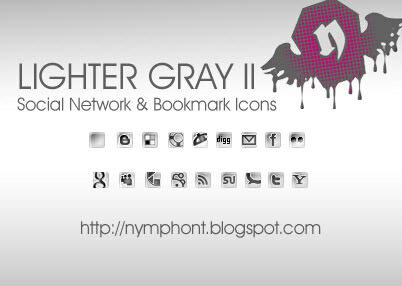 The set also includes one extra blank icon base for making additional matching icons.” Presented by Nymphont. “In the download file you will get a preview image and seven transparent .PNG images (these can be scaled down easily if you require them to be smaller).” Spawned by Circlebox. 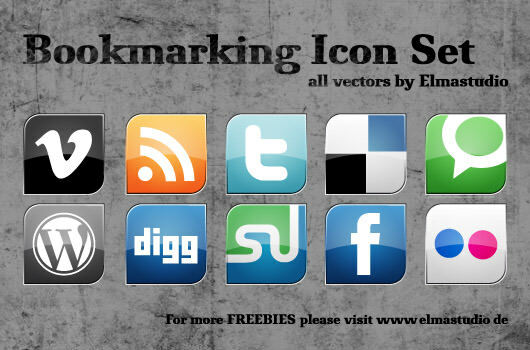 “The set includes 10 icons featuring the logos of popular social bookmarking sites with 512×512, 256×256, 128×128, and 64×64 icons in .png format.” Designed by David Leggett for Smashing Magazine. 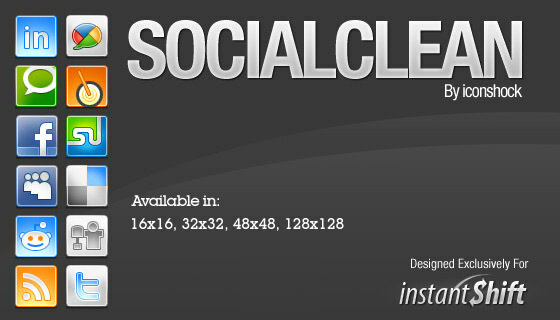 “This set contains 20 200px x 200px PNG files that you can easily resize and edit for your website design.” Created by Dawghouse Design Studio for Six Revisions. 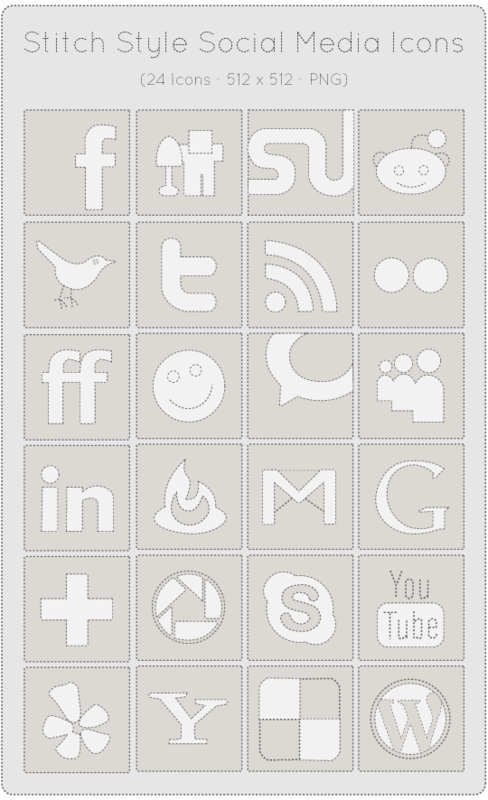 “The set contains 16 social icons in (transparent)PNG format.” Published on Productivedreams. 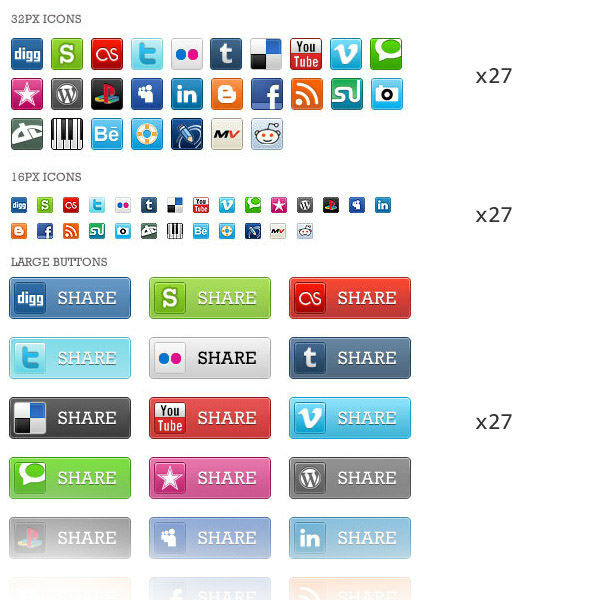 “Icons are transparent PNGs and the available dimensions are 128 x 128 and 64×64″. 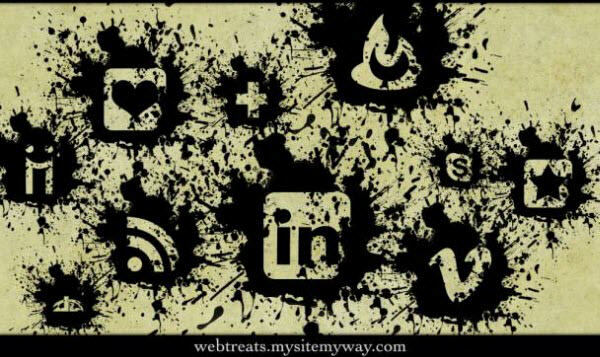 Published on Productivedreams. 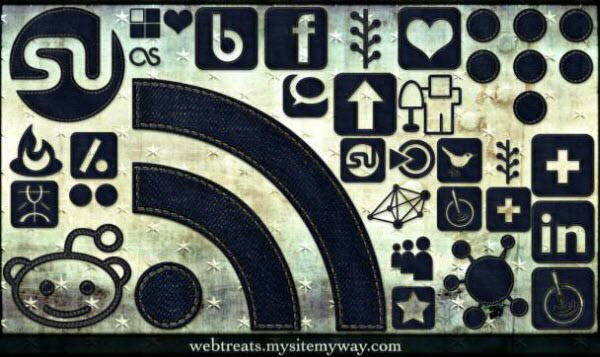 Created and shared by Webstuffshare.com. 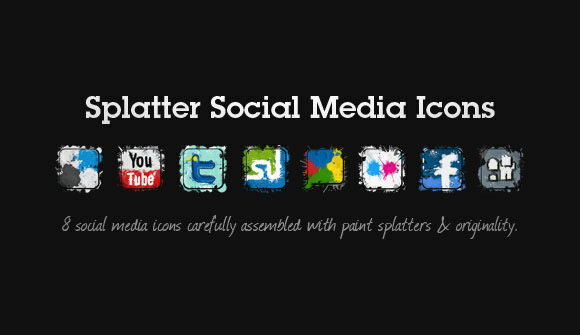 “Each icon is hand crafted and available as a large share button, 32 pixel and 16 pixel icon.” Brought to you by PSDTuts and Benjamin Reid. 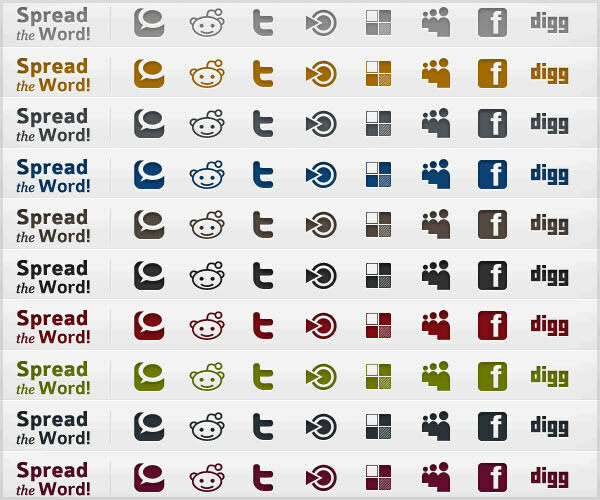 “You’ll find 14 different 64px x 64px icons in this set in .jpg format.” Designed by John Campbell from DesignBump, released on Six Revisions. 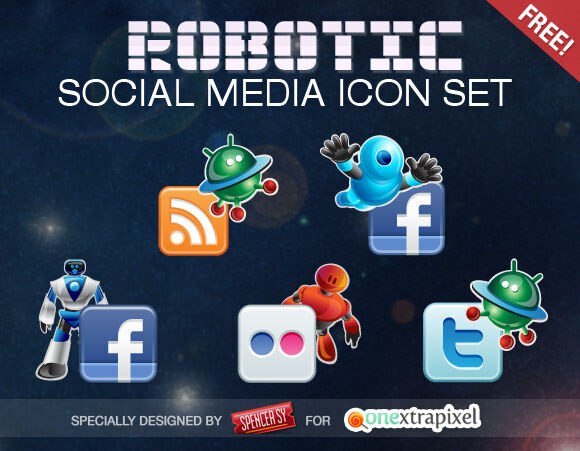 “The set consists of various popular social media icons and is available in three different resolutions – 64 x 64px, 96 x 96px, and 128 x 128px.” Invented by Spencer Sy for release on Onextrapixel. 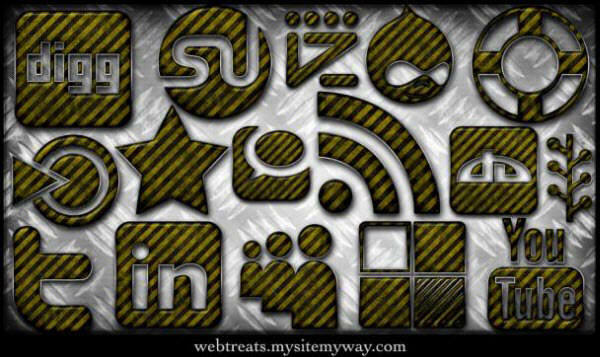 “Another huge set of 1,540 social networking icons, our standard 154 icons in 10 colors corresponding to each of inFocus‘ color variations.” Released by Web Treats ETC. 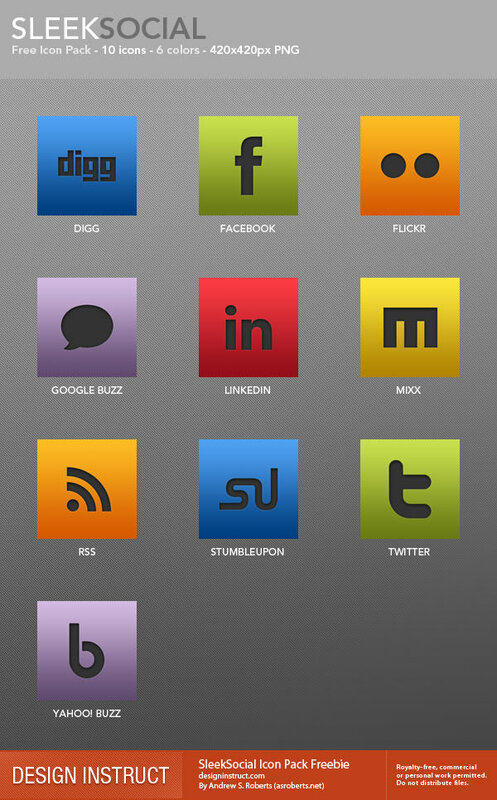 Authored by Andrew S. Roberts for publish on Design Instruct. 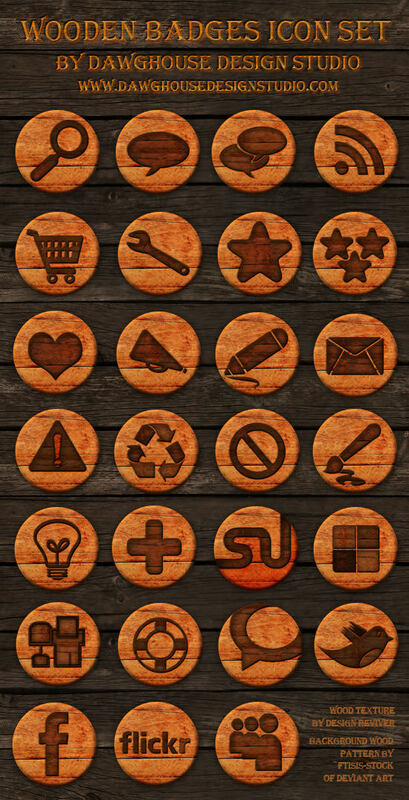 Crafted by IconShock, released on Tutorial9. 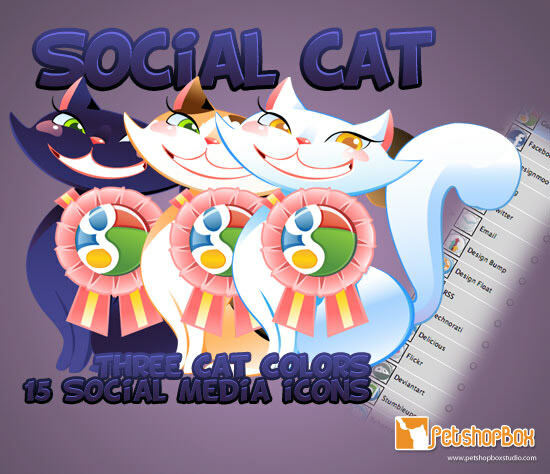 “There are three cat colors, with 15 social media icons.” Created by animal lover, Petshopbox. 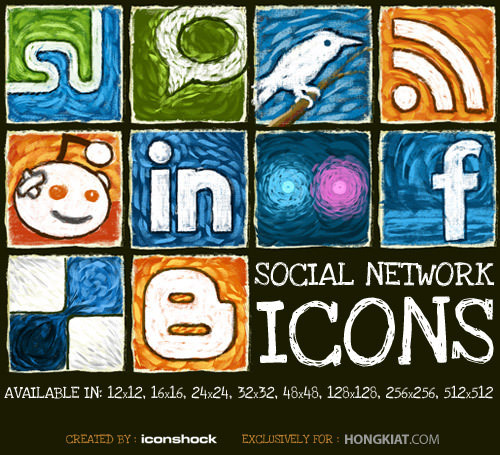 “A set of 12 icons delivered as PNGs in 4 different sizes: 16×16, 32×32, 48×48 and 128×128 covering various social networks.” Designed by Iconshock exclusively for InstantShift. 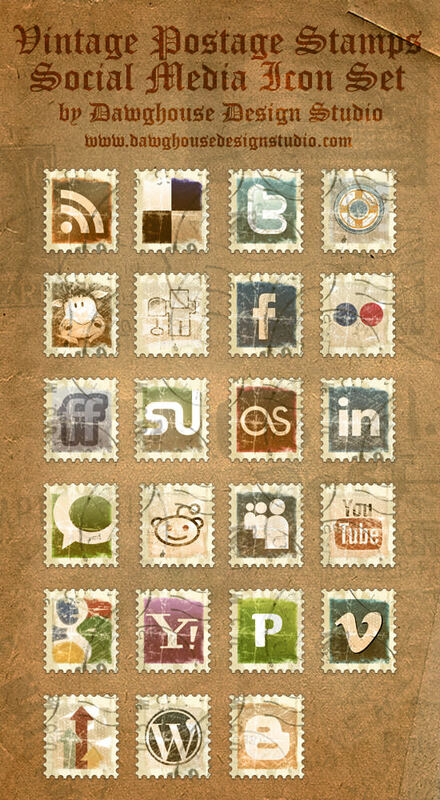 “In the package, you’ll find 16 different icons for Digg, Reddit, StumbleUpon, Facebook, and more. 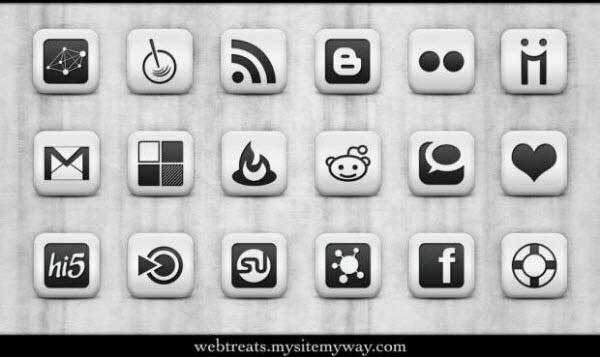 Each icon comes with 6 standard sizes (32px, 48px, 64px, 128px, 256px, and 512px) in PNG format.” Published on Six Revisions. 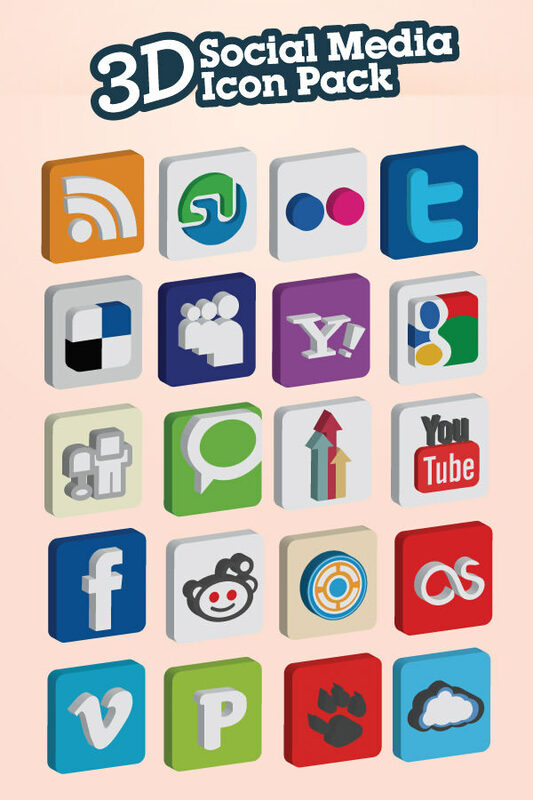 “16×16 and 32×32 icons included, in both transparent PNG and GIF.” Created by sm07. 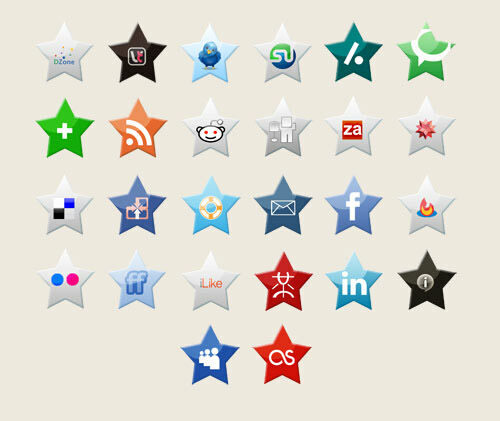 “Since you are all stars to us, we made this icon set available for you in two different sizes (128×128 & 64×64) for your convenience.” Presented by Arbenting. 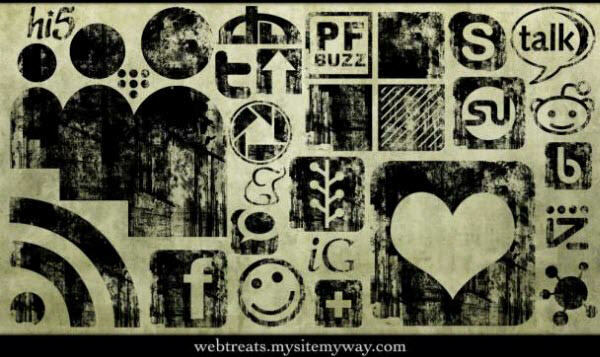 “These icons are conveniently designed at 8 different sizes ranging from 12px to 512px in png format.” Brought to you by MyInkBlog and Iconshock. 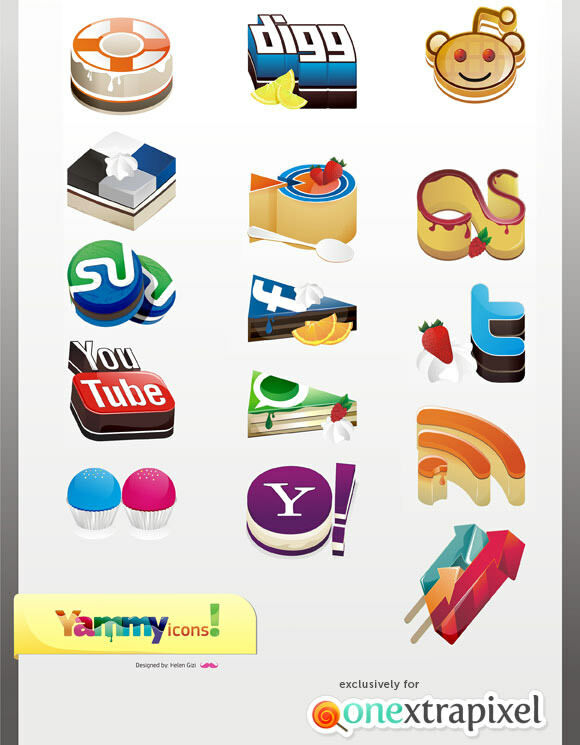 “All of these are in PNG format with a size of 512 x 512 px.” Created by Creative Repository. 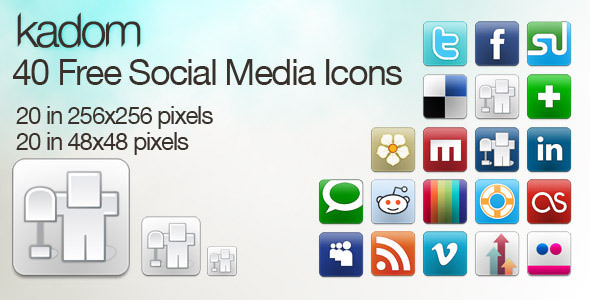 “Icons are 16 by 16 pixels and in transparent PNG format. 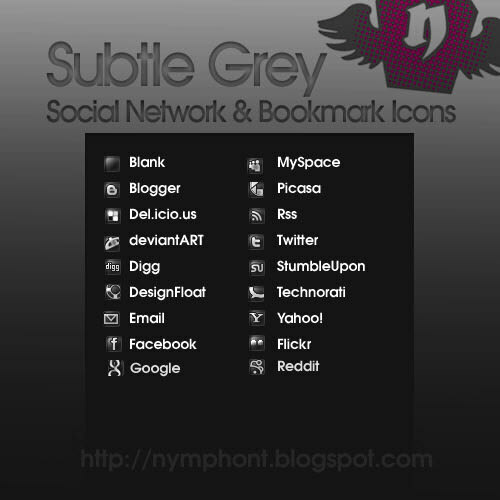 The set also includes one extra blank icon base for making additional matching icons.” Designed by Nymphont. 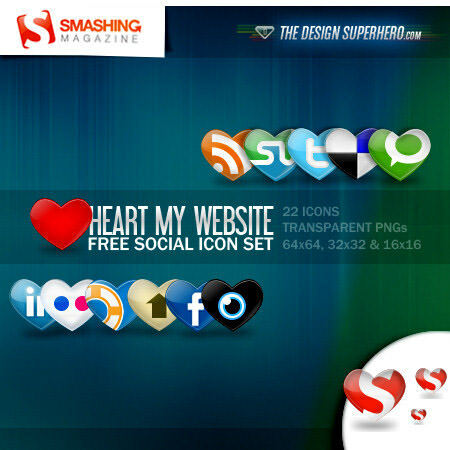 “Icons are available in the .png format in various resolutions.” Made by Templates.com for Smashing Magazine. 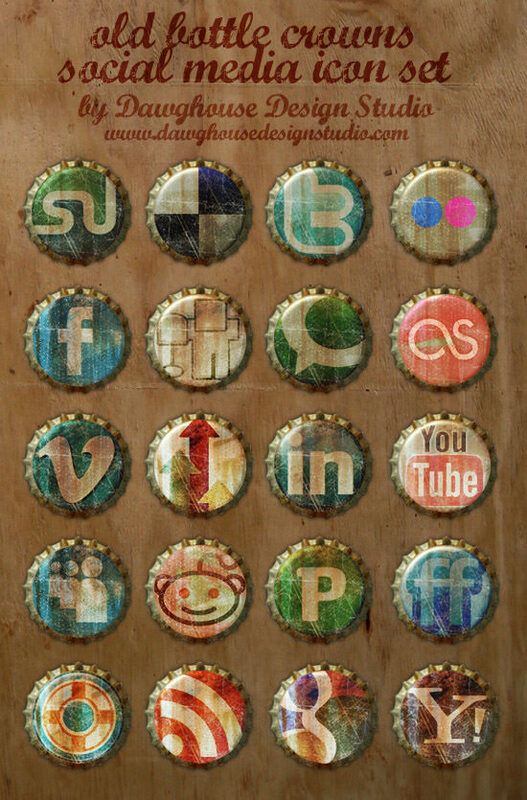 “This icon pack contains 14 icons, including popular social bookmarking services and our favourite browser, Firefox. 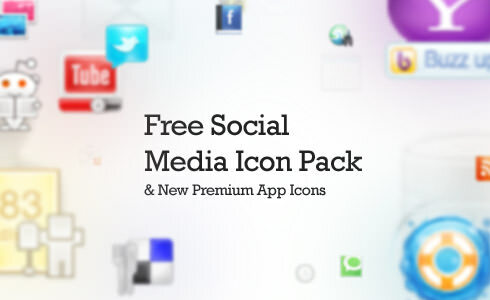 Icons are available in PNG, ICO and ICNS format.” Presented by IconsPedia. Crafted for Tutorial9 by Dawghouse Design Studio. 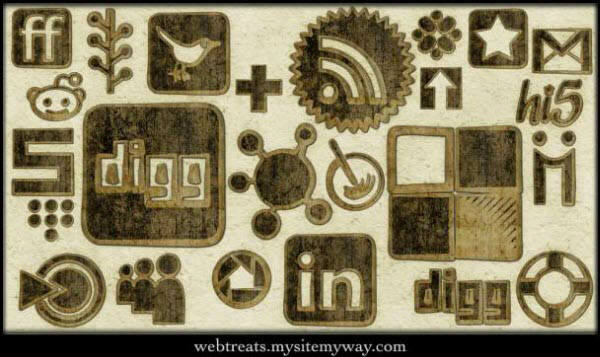 Hand crafted by Jan Cavan from Dawghouse Design Studio for Web Designer Depot. 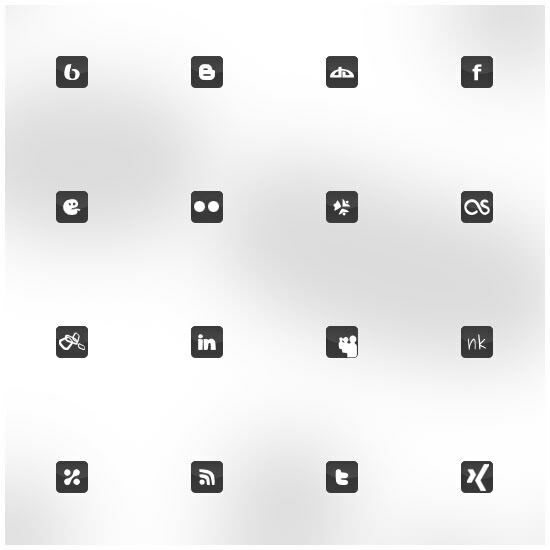 “The set consists of various popular social media icons and is available in two different sizes – 64 x 64px and 128 x 128px.” Beautifully designed and baked for Onextrapixel by Helen Gizi.